One of the best, um, worst (?) baddies of all time. 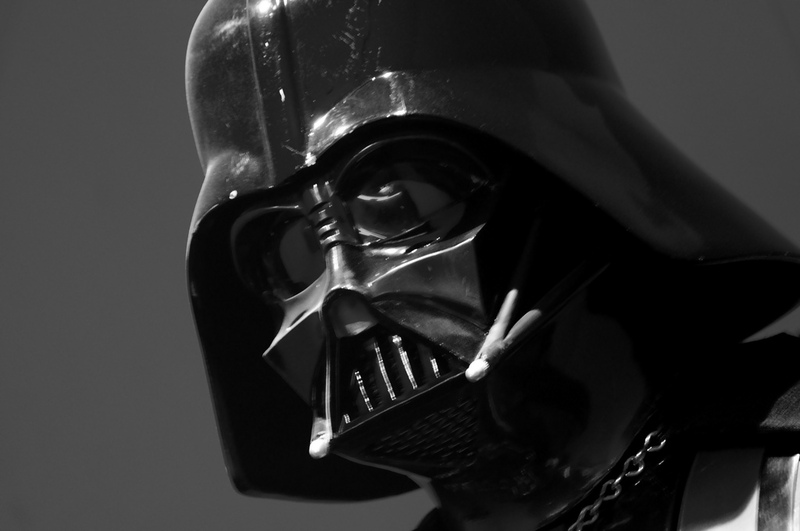 Would have been nice to play Vader’s theme, the famous Imperial March…. Thing is, John Williams hadn’t composed it yet. It first appeared, courtesy of the London Symphony Orchestra, in the original trilogy’s second film, the Empire Strikes Back. James Earl Jones famously voiced the character, and almost as famously wasn’t credited for the first two films. He’d claim at the time that his work was just “special effects”…something, I don’t know, VOICE ACTORS might disagree with. You’re listening to “The Story of Star Wars”, a 20th Century Fox LP from 1977. Image courtesy of Roger Schultz, used under Creative Commons license. ← Previous: STAR WARS Week: Happy Star Wars Day!